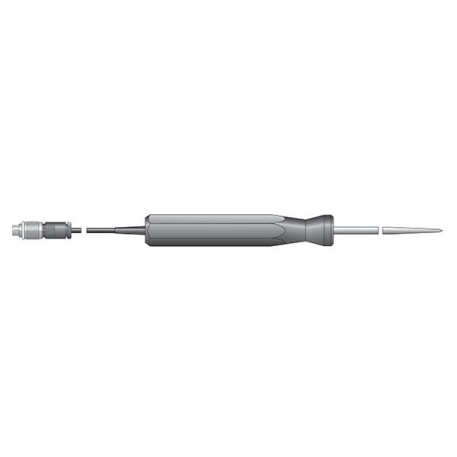 This stainless steel resistance temperature detection or RTD penetration probe, with a high accuracy 'class A' PT100 sensor, is strong and versatile, ideal for a range of applications including liquids and semi-solids. Response time less than six seconds. Probe temperature range -50 to 200°C. Platinum resistance thermometers (PRTs) offer excellent accuracy over a wide temperature range. Sensors are interchangeable between different manufacturers, and are available in various accuracy ratings and packages to suit most applications. 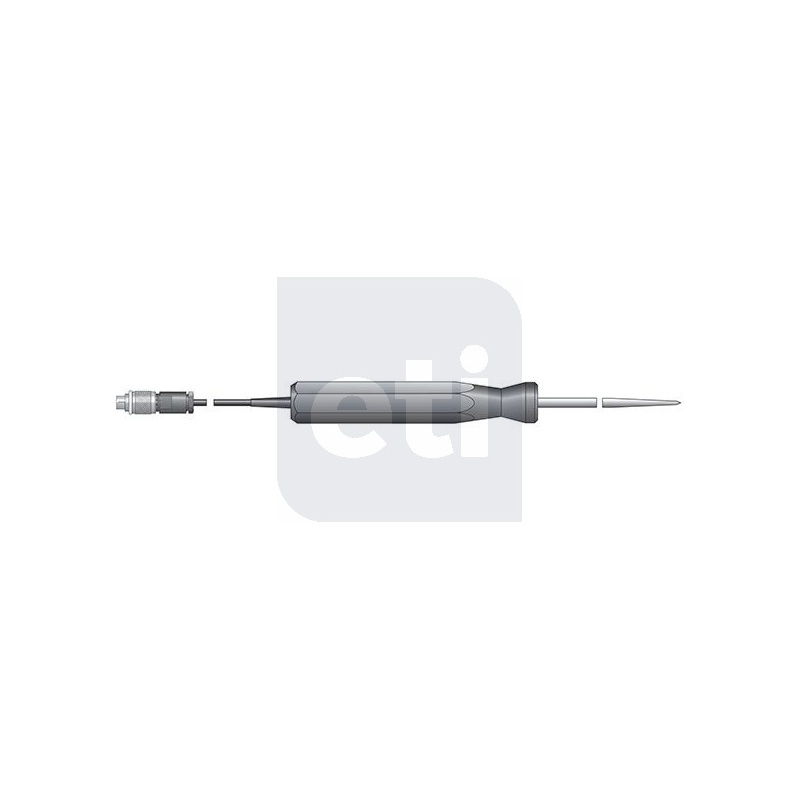 Unlike thermocouples, it is not necessary to use special cabes to connect to the sensor.